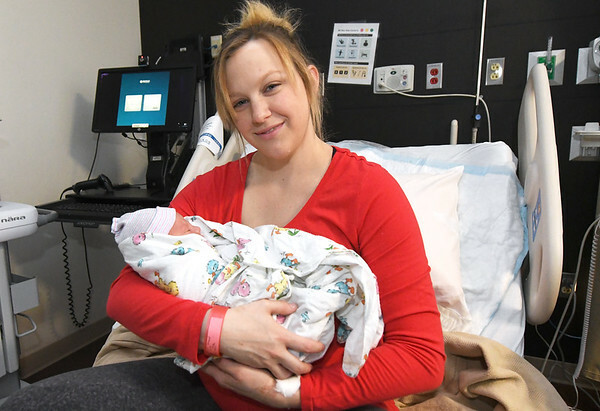 Tiffany Hamiti holds her newborn son, Amir Hamiti on Monday at Freeman Hospital West. Amir was the first baby born at Freeman in 2018 and is the son of Burim Hamiti. He was born weighing six pounds eight ounces at 3:32 a.m. Mother and baby received a goody basket including a baby monitor, toys, blankets and apparel from Freeman Health Systems.